Watching my father suffer and eventually pass away due to complications of severe obesity in December 2013 was a real eye opener for me. His death made me face the reality that my weight would kill me if I let it. I felt unsure and scared, but I desperately wanted to change. My journey began in March 2013. At first, I researched weight-loss surgery options because I hadn’t been able to lose weight on my own in the past. 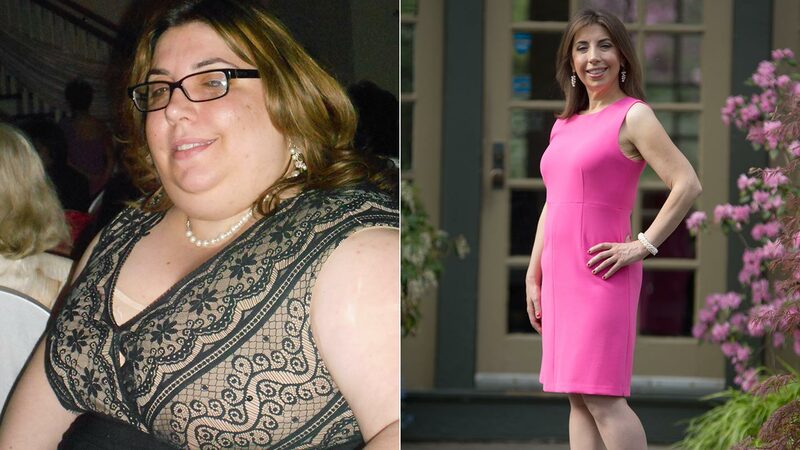 I consulted several doctors, and a surgeon informed me that bariatric surgery would only be possible if I could lose at least 10 percent of my weight naturally first. I was discouraged, but I had no choice. I couldn’t walk without feeling short of breath. I was at my lowest point. With lots of encouragement from friends and family, I joined Jenny Craig. Without even purchasing the premade cuisine, I received comfort from the counselors and the accountability of weighing in every day. I started slowly — choosing foods more wisely and replacing fast food with organic whole food options. I began losing about 1 to 2 pounds a week and started seeing results. Encouraged by my progress, I decided to continue trying to lose weight naturally without surgery. I had to overcome my dislike of exercise. After one year of dieting, I had lost 60 pounds but knew I needed to integrate exercise if I wanted to reach my goal weight. I started slowly by walking up and down my driveway for about 20 minutes. Soon, I was walking around my neighborhood, and eventually I started going to the gym and walking on the treadmill. Over time, I increased my speed and steepness and explored new machines like the bike, elliptical, and weights. On any cardio machine I used, my goal was to keep my heart rate at 120 and burn 500 calories. I wanted to give up, especially in the beginning. What kept me going was my inner voice telling me to not quit even in the face of obstacles and challenges, and it reminded me how badly I wanted to change my life. Every time the number on the scale decreased, I felt closer to my true self and found a little more peace with my body. Weight loss plateaus are normal, and I’ve learned to turn my setbacks into growth. When I got stuck in a rut, mixing up my intensity helped break my plateau. Even just cooling down for an extra 10 to 15 minutes, using heavier weights, increasing my reps, or trying different machines helped. I exercise for about 70 minutes, five days a week. I mostly use the elliptical to work my upper and lower body, and I alternate between a bosu ball, kettle bells, and free weights for strength training. My energy has increased, and I can push myself to do exercises I would never have been able to complete before. I typically eat my largest meal in the morning, so I can burn it off throughout the day. I eliminated all processed foods and switched to organic whole foods. I replaced diet soda with flavored water and have substituted my daily latte with a decaf Americano with non-fat milk. Instead of sugary desserts, I’ll have nonfat Greek yogurt, fruit, or nuts. I eat a lot of vegetables with a protein on the side like salmon, catfish, or chicken. My favorite healthy meal is lemon dill tilapia, gigante beans, and a Tuscan salad with salsa fresca. I no longer have sleep apnea, acid reflux, or eczema. It is so liberating to breathe without shortness of breath. But what’s changed the most is my mentality. I have more confidence, and I’m calmer, more energized, and more at peace with myself. I feel proud that I was able to lose weight on my own without surgery just by changing my diet and lifestyle. Start with small changes. The first thing I worked on was my diet. But I didn’t revamp everything all at once. I started by changing creamy dressings to balsamic vinegar on my salads, and after getting used to healthier options, I realized that I actually enjoyed eating clean. It also helps to stay positive. Keep a journal of your daily “wins” no matter how small or large, so you can go back and see how far you have come. Follow Gina’s weight-loss journey on her blog, Weight Clique.